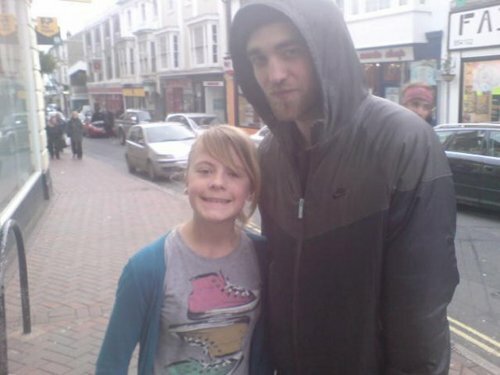 Proof Robsten in London!!!!! (26th dec 2009). Boxing 日 was the 日 after 圣诞节 - the advert seen in this pic.. Wallpaper and background images in the Robert Pattinson & Kristen Stewart club tagged: kristen stewart robert pattinson robsten 2009. This Robert Pattinson & Kristen Stewart photo contains 街道, 城市风貌, 城市环境, 城市场景, 城市设置, 商务套装, and 西装. There might also be 行车, 车道, 行车道, 标志, 海报, 文字, 黑板, 文本, 赤褐色砂石, 褐砂石, and 上流社会.